Happy birthday, Benjamin Rodriguez! And many more! This was sketched digitally BTW. I prefer using traditional media. This week’s piece is another still life that I drew back when I resumed learning how to draw. This was done in mixed media however. Back in those days, I played around with many different types of dry media like pastels, charcoal, drawing pencils, etc. Not a bad drawing exercise. All in all, I’ve come along way since then. To be specific, this was done with black wax crayon, white wax crayon, charcoal pencil, and three grades of graphite – HB, 2B, and 3B. Still life is a good way of practicing your drawing skills. Unlike a landscape, light doesn’t change and in contrast to a live model, it doesn’t move or breathe. I attended I-CON the weekend of April 15-17, 2011. It was a neat event. I did take this video while in the dealer’s room. You can see that it was a lot of fun. Nothing special here – this was one of my first drawings when I started drawing on a regular basis in 2002. This was a still life exercise out of a book. It’s not bad at all for a first try. I’ve come a LOOOONNNNGGGG way since then. I attended the annual Museum of Cartoon and Comic Art Festival held on April 9-10, 2011 in Manhattan. It took place at the 69th Regiment Armory on Lexington Avenue. (TRIVIA: This armory was also the site of the famous 1913 Armory Show.) I had a load of fun there and even took some video! 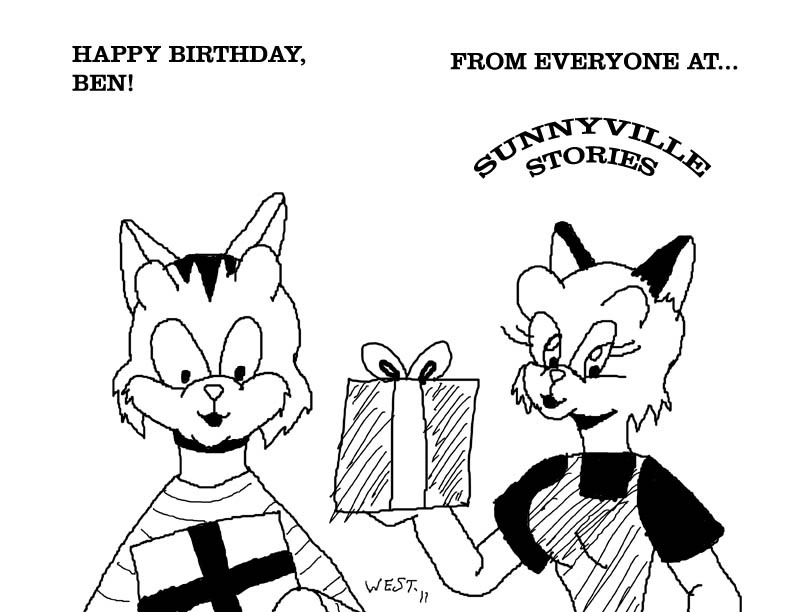 For a more detailed report, check out the post I made on the Sunnyville Stories blog. I’ll be there with many colorful characters like my friend Mae Zubkov, the uncanny Joe Strike, Dr. Samuel Conway (better known as Uncle Kage), and Peter Stoller to name a few. Check out I-Con…it’s loads of fun. I have a few more drawings this week. This first one is a simple landscape done with nib pens and brush. I have some more belly dancers up this week. These are some more pieces from my sketchbook. Here they are. This blonde belly dancer wears the Turkish style bedlah (belly dancing outfit). I usually tend to draw my women in the Turkish style outfits, which show more. This is to make them look more visually appealing. However, there are other styles of belly dancing where more modest clothes are worn. I know some of the American and Tribal Fusion have a variety of outfits like full dresses, skirts, and lycra pants.